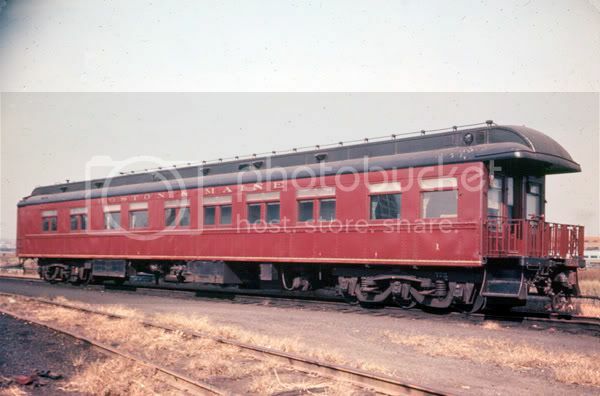 Lately in some research I've come across this business car which was "BM 1". Per available service history information here it was originally MC 1 then MC 8 and then NYC 8 and sold to BM in 1953. After that it seems to disappear. What happenned to this car? The first link went to a deadend for me. I'm wondering if anyone else had the same trouble. I've had trouble with it before. Glad I downloaded it when it came up. Took a while, but it eventually came up. Thanks! That is a great looking piece of equipment. Just wondering could someone from the BOSTON & MAINE Historical Society please answer the question? What has happened to B&M Business car Number 1? Is it still with us, or has it been scrapped?